Should Dialysis Treatments Be Painful For CKD And Dialysis Patents? Dialysis itself is not supposed to hurt patients. In Hemodialysis the needles may hurt going in, but they should stop hurting after that. Painful muscle cramps can happen during Dialysis, especially if you gain a lot of fluid weight between treatments. Your care team can help stop the cramps when they happen and work with you to keep them from happening again. Still, if you are in pain throughout Dialysis Treatment then something is wrong. You have to talk with your Healthcare Team about this issue immediately since it may lead to other complications such as a damaged AV Fistula via incorrect sticking, heart complications, blood clots, skipping treatments or giving up entirely. Make sure that you get your Dialysis Patients' Rights book to ensure that your concerns are promptly addressed. A KidneyBuzz.com viewer wrote, A KidneyBuzz.com viewer wrote, "I hate dialysis! I sit there in constant pain. If this continues, I am just going to stop my treatment." Dialysis itself is not supposed to hurt patients. 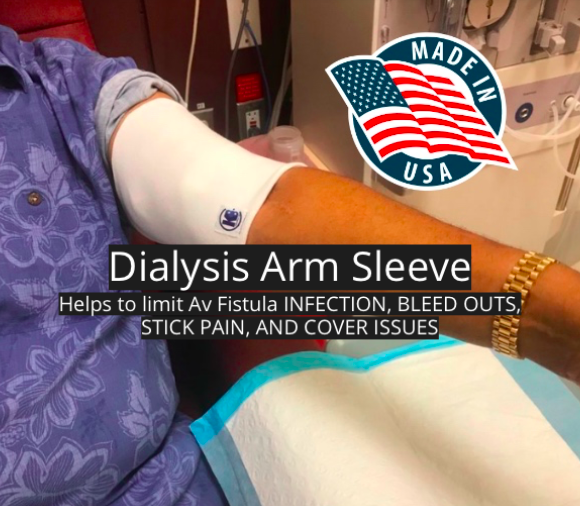 "In Hemodialysis the needles may hurt going in, but they should stop hurting after that," according to DaVita Inc. (second largest Dialysis Company in the United States). Painful muscle cramps can happen during Dialysis, especially if you gain a lot of fluid weight between treatments. Your care team can help stop the cramps when they happen and work with you to keep them from happening again. Still, if you are in pain throughout Dialysis Treatment then something is wrong. You have to talk with your Healthcare Team about this issue immediately since it may lead to other complications such as a damaged AV Fistula via incorrect sticking, heart complications, blood clots, skipping treatments or giving up entirely. 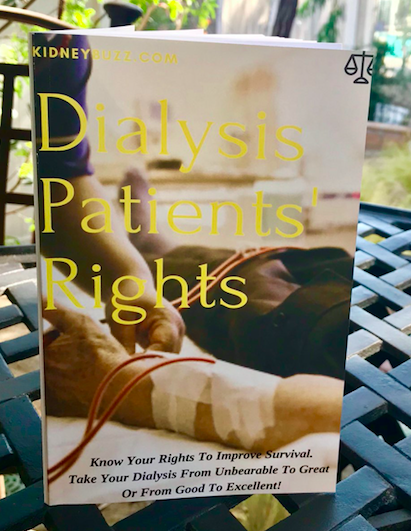 Make sure that you get your Dialysis Patients' Rights book (click here) to ensure that your concerns are promptly addressed and use the following tips to help limit Dialysis Related Pain. Request that your Patient Care Technician or Nurse wears gloves to feel your Fistula and stick the access in the correct place rather than just sticking based on eye-sight judgement or convenience. Check the site at least once more a short time after the needle removal to ensure that no bleeding, swelling, or other signs of a reaction are present. Also, if your needle hurts throughout treatment there is an issue and it should be corrected promptly. You can ask for numbing medicine before you get the needle sticks if they bother you. Many people get used to the needles in time. Chronic Kidney Disease patients conducting Dialysis may consider applying EMLA Cream (2.5% concentrated Lidocaine or Prilocaine) about 45-60 minutes before dialysis to numb the area where they will be stuck and the needle will be removed. Although Chronic Kidney Disease patients on Dialysis can get the cream at a drug store, they will have to discuss using it with their Nephrologists as EMLA requires a prescription. Another solution to reduce needle pain is Pain Ease, a spray that “freezes” the area in which the needle will be stuck and removed. 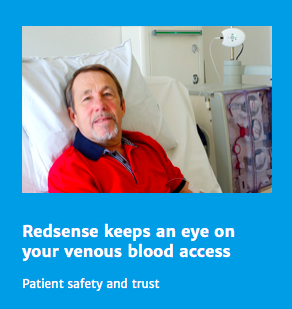 Dialysis patients have noted that "it sure makes the insertion and removal of the GIANT needles easier on me!" Do not 'power through' pain. Dialysis patients are among the toughest patients of any major disease. They have to be. Hence, they often have higher thresholds of pain. While you may think that you can just suffer through the pain you are experiencing, don't because it could cause other issues to arise. The fact is that Dialysis is not intended to hurt. If it is hurting there is an issue that should be addressed. Ask your Patient Care Technician to correct any Dialysis Related Pain that you are experiencing. If they cannot, kindly ask for the nurse. If your Dialysis Nurse cannot resolve your issue, refer to your Dialysis Patients' Rights book for next steps (click here). Sometimes the long Dialysis Treatments can be painful on a patient's buttocks or lower back. In this case, consider asking to stand for a few moments. Your Patient Care Technician can help you safely stand to relieve the pressure from sitting for several hours. You can also ask to lay fully down if it helps to alleviate your pain. Remember that it is normal to experience a little discomfort and soreness after Dialysis, but arm pain that lasts much longer may be more serious. If it occurs, the best course of action is to see your Nephrologists and make sure there are no signs of nerve damage, Hematoma (collection of blood outside of a blood vessel), or infection at the site of the needle stick. For more Dialysis News and Breaking Information which teaches those with Chronic Kidney Disease and Diabetes how to better manage and improve their lives, visit KidneyBuzz.com every day. Also, join the other nearly 80,000 Facebook Friends by clicking here to "Like" KidneyBuzz.com on Facebook. Moreover, go ahead and download the KidneyBuzz.com bookmark to your Home Screen so you do not miss a thing.